For most of the past four decades, there's been a reliable power dynamic in Albany. Democrats controlled the Assembly, Republicans controlled the Senate, and the two chambers went back and forth on budgets and legislation until there was either compromise, stalemate, or some other form of inaction. Whether that was good or bad was a constant source of discussion inside and outside the capital. For Democratic lawmakers, progressive activists, and some reform groups, the change is a big deal. They've argued for a long time that Senate Republican leaders were bogging down progress on some big issues and were outright blocking important legislation from coming to the floor. Leading up to the November election, they argued that Democratic control of the Senate and of state government as a whole would allow for a slew of bottled-up legislation to make it to the governor's desk. The 2019 legislative session is now going full bore and so far, the Democrats, progressive activists, and reform groups have been right. • Begin the process of amending the state Constitution to allow same-day voter registration and to allow voting by mail without citing a reason. Voting rights advocates and good-government groups have spent years, if not decades, pushing for some of these reforms. The change in Albany's political dynamic will certainly mean a change in the issues that get addressed and the legislation that gets passed. For example, the fight about bringing the Reproductive Health Act to a vote is over. The Assembly and Senate passed the legislation yesterday — January 22 — on the anniversary of the Supreme Court's landmark Roe v. Wade decision. The New York bill modernizes state abortion laws and brings them in line with the rights and protections guaranteed under Roe. Cuomo has also called on both chambers to go a step further; he wants them to begin the process of amending the state Constitution so that it protects women's reproductive rights. And the discussion around cannabis legalization isn't so much about whether it'll happen, but what it'll look like. Governor Andrew Cuomo has included legalization in the budget proposal he just submitted to legislators. But legal cannabis is just one of the persisting, complex, or pressing issues that will receive more serious consideration with the whole of New York's legislative and executive branches under Democratic control. Here's a look at several of them. In all likelihood, 2019 will be the year New York legalizes cannabis for use by adults over 21. The governor has included legislation ending cannabis prohibition in his recently released budget proposal, and leaders in both the Assembly and Senate support legalization. Cuomo is late to the push for legalizing marijuana in New York; even just a couple of years ago, he resisted the idea and framed marijuana as a gateway drug. In the state Assembly, however, Democratic member Crystal Peoples-Stokes led the development of a bill that not only ended the state's prohibition on cannabis, but approached legalization as a social-justice issue. 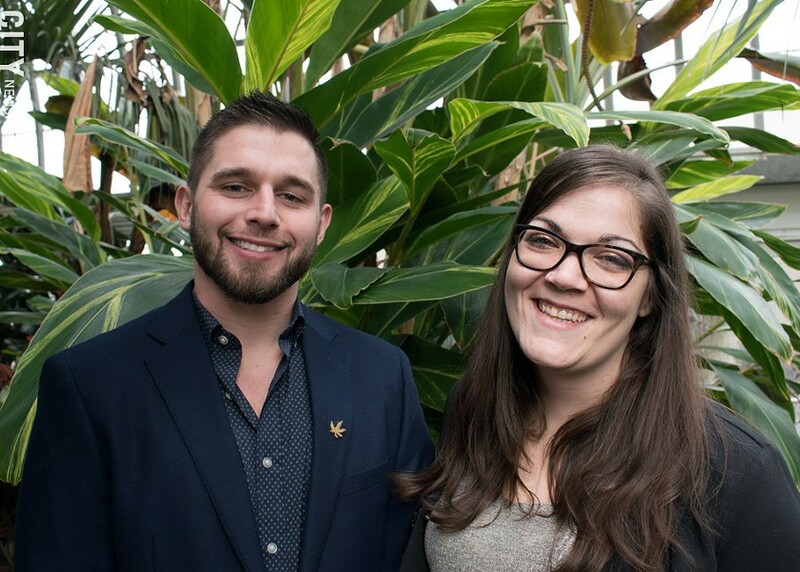 Roc NORML officers Steve VanDeWalle, deputy director, and Mary Kruger, executive director, say that New York needs to end the prohibition on adult use of cannabis for adult use, and that it needs to come at legalization from a social justice standpoint. Times, apparently, have changed. And when Cuomo announced in late 2018 that he'd pursue marijuana legalization in the first 100 days of 2019, he, too, framed it as a social justice issue. He has stayed on-message since, and has been careful not to play up cannabis as a revenue booster. His budget briefing book specifically notes that of 800,000 arrests for possession of small amounts of weed, the majority of those arrested are people of color. "Let's create an industry that empowers the poor communities that pay the price and not the rich corporations who come in to make a profit," Cuomo said during his State of the State and budget address. Both Cuomo's legislation and the Marijuana Regulation and Taxation Act, the bill sponsored by Peoples-Stokes and Senator Liz Krueger, are incredibly complex. Both set up a framework for regulating and taxing marijuana, essentially treating it the same as booze or tobacco. 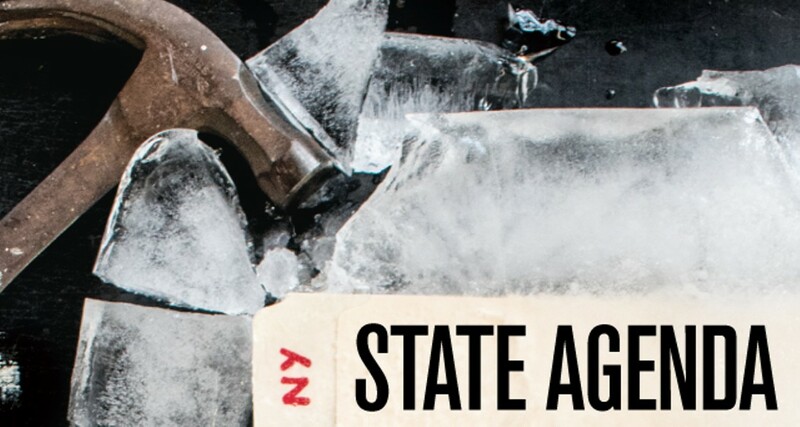 Cuomo's proposal creates an Office of Cannabis Management, while the Peoples-Stokes and Krueger bill puts marijuana under the regulatory purview of the state Liquor Authority. The proposals are similar in other ways, too; Cuomo even named his bill the Cannabis Regulation and Taxation Act. Both establish licenses for different types of commercial marijuana business, including cultivation, wholesale, and retail says. And they also restrict vertical integration to some extent; Cuomo's proposal would prohibit cultivators from owning retail businesses, for example. NORML representatives, however, say that Cuomo's plan would provide a path for the vertically integrated medical cannabis companies operating in the state to enter the adult use market. But there are some noticeable differences, too. The MRTA lays out a process for reclassifying past convictions and resentencing anyone currently incarcerated on marijuana convictions. Cuomo's proposal calls for reviewing and sealing past convictions, but it's not clear how that may impact people currently incarcerated on marijuana convictions. Even with the governor's proposal on the table, social justice and marijuana advocates see the Marijuana Regulation and Taxation Act as the ideal. They like things they see in Cuomo's proposal, but they've had a hand in putting together the MRTA. And they've had time to scrutinize it; again, these are complex bills that alter a lot of state laws. While Cuomo says his proposal is based around social justice, the advocates know for certain that the Peoples-Stokes and Krueger bill is rooted in it. "When we look to any states as a model for that, we don't really have any," says Mary Kruger, executive director of Roc NORML, the local chapter of the national pro-legalization group. "It's kind of been an afterthought in a lot of states, so we are advocating for it to be in the forefront of the conversation." Cannabis prohibition has "fueled the growth of an illicit industry" and has been "disproportionately enforced in communities of color," says a summary of MRTA from the Drug Policy Alliance, which advocates for legalization. The Alliance, NORML, and other advocates see one part of the MRTA as crucial. It takes a substantial portion of the revenue generated by taxing cannabis cultivation, product production, and sales, and reinvests it in the communities most harmed by the war on drugs, particularly low-income neighborhoods and communities of color. The money would be designated for community-based projects, including adult education, job training, afterschool programs, and re-entry services. Some of the money would also go toward drug treatment programs. Cuomo's proposal also directs how marijuana revenues would be used, and there is some overlap with the MRTA. But MRTA advocates are still dissecting the Cuomo proposal. The governor's plan would also allow for county and local governments to "opt out," though it's not exactly clear which aspects of legalization they can opt out of. • Driving under the influence of marijuana. Police have been charging people with driving while impaired by marijuana for years, but officers and legalization supporters alike say that law enforcement needs better methods and standards to determine impairment. The state will likely put some research money toward that end. • Marijuana and money. Federally chartered banks are generally reluctant to provide loans for cannabis businesses or to take their deposits, since marijuana is still illegal at the federal level and the banks don't want to run afoul of the law. Securing funding to start a business will be a challenge, as will basic cash handling. • The state's strictly-regulated medical cannabis industry. With marijuana more widely available, presumably the medical cannabis dispensaries will seek changes to the state program. They may also try to get in on some aspect of the non-medical business, such as cultivation. When people get arrested and held on bail, they risk losing their jobs, their housing, and even custody of their children. And it can all happen before they've even stood trial, creating a situation where people are effectively punished before they're convicted. For many people accused of an offense, this isn't a problem. They're able to come up with money to post the bail set by a judge, so they're released from jail while they await trial. But that's not how it works for everyone. The New York Civil Liberties Union released a report last year showing that in Upstate counties, thousands of people were spending days or weeks in jail, even though their bail was set relatively low. Between 2010 and 2014, the report said, more than 6,600 people spent at least a week in the Monroe County Jail on bail of $1,000 or less. Approximately 1,900 of those people were held on bail of $250 or less. The statewide #FREEnewyork campaign, first launched in 2017, has been pushing the governor and state lawmakers to address several issues around mass incarceration, and bail reform is one of them. The campaign wants the state to eliminate cash bail and explore equitable alternatives, Ashley Gantt, the campaign's Rochester organizer, said during an interview in November. Governor Cuomo's 2020 budget proposal includes legislation that would initiate a series of changes around bail and pretrial detention as a whole. The legislation will "eliminate money as a means of determining freedom," says a press release from the governor's office. It's likely that the legislation will emphasize releasing people without bail or with some condition other than a monetary guarantee. The legislation will also require police to issue appearance tickets for low-level offenses and create a process for district attorneys to request a hearing to determine whether defendants may be held in jail prior to trial, the press release says. More details about the proposal are sure to emerge as advocates and legislators review the legislation. Cuomo included similar bail and pretrial detention changes in last year's budget proposal, but those reforms didn't survive negotiations with the Assembly and Senate. Climate change is a massive problem that's happening on a global scale. And it's having measurable effects on New York: the gradual warming of water bodies in the Adirondacks, a marked increase in the intensity of heavy rainstorms, the proliferation of lyme disease-carrying ticks, and hotter summers, among myriad other things. New York has history of taking action at some level to reduce its climate-altering greenhouse gas emissions. In 2006, Republican Governor George Pataki signed New York onto a multi-state effort to cap carbon emissions from power plants. The Regional Greenhouse Gas Initiative – which he helped develop – continues today. The Legislature has backed incentives for and investment in renewables, as well as electric and hybrid vehicles. And Cuomo has issued executive orders compelling some state agencies to enact policies and regulations to boost low- and no-carbon electricity. The state Public Service Commission, acting at his request, approved a requirement for the state's utilities to get 50 percent of their electricity from renewable sources by 2030. But climate activists and some Democratic lawmakers want to see aggressive targets written right into state law. "Right now we have aspirations," says Sue Hughes-Smith of the Rochester People's Climate Coalition. "That's all an executive order is." Hughes-Smith and the RPCC are part of the NY Renews coalition, which is advocating for passage of the Climate and Community Protection Act. The Assembly has approved the bill during the past three sessions, but Senate Republican leaders never allowed a vote on it. If passed, the act would firm up the "50 percent by 2030" target in state law and would also require that by 2050, all power in New York comes from clean energy sources. It would require the state to develop a plan for achieving those targets, and it stipulates that the plan must include specific, enforceable benchmarks. The act would create a 25-person committee of experts, environmental justice advocates, climate advocates, and state agency representatives to help develop and implement the plan. The act would also require state agencies to consider the climate impacts in any of the work they do, from regulations to projects, Hughes-Smith says. Cuomo's executive budget proposal includes a package of similar legislation, which he calls a Green New Deal; he's seizing on a phrase that environmentalists and the Green Party popularized around two decades ago. His proposal would require, by law, New York's power to be 100 percent carbon-free by 2040; by 2030, utilities would have to get 70 percent of their energy from renewable sources. The budget proposal also includes new targets for wind and solar power development, as well as a separate target for off-shore wind development, and $1.5 billion in competitive awards for energy storage, solar, and wind projects. It also includes workforce development funding to train workers for clean energy jobs. The governor's legislation would also convene a Climate Action Council with similar composition to the committee proposed in the Climate and Community Protection Act. And that group would develop a plan to make the state carbon neutral. In a response to Cuomo's State of the State and budget address, the NY Renews coalition said it "welcomes the major climate policy" Cuomo included in his executive budget. "It is heartening to see progress towards a fossil-free New York," the statement said. But the group argues that the Climate and Community Protection Act is still the better legislation, though sponsors haven't yet reintroduced it in the Assembly or Senate. Compared to the governor's proposal, it has a more specific timeline for "eliminating greenhouse gas emissions economy-wide" in New York. The CCPA also has a stronger emphasis on investing state energy funding so that it leads to emissions reductions, job creation, and healthier environments for low-income communities and communities of color, NY Renews said. Those communities have disproportionately suffered from the harmful effects of burning fossil fuels, they said. Climate activists and environmental groups see this session as their best and soonest opportunity to get aggressive climate legislation passed in New York, so they'll be lobbying hard. And in all likelihood, legislators will end up negotiating with the governor over various climate- and energy-related provisions in this state budget. New York needs to improve its health care system. On that fundamental premise, there's wide agreement across party and ideological spectrums. But lawmakers, progressive and conservative organizations, business groups, health care providers, and think tanks differ on what fixes need to be made. Discussions around health care reform in New York typically focus on insurance coverage: the need to improve it or replace it with a public single-payer system. And that's what the governor and legislators will be debating in the coming weeks. Cuomo's budget proposal includes legislation that will build key Obamacare provisions into state law. During his address to Senate and Assembly members and in his budget briefing book, Cuomo framed the actions as being necessary to protect New Yorkers from federal attacks on the Affordable Care Act. If President Donald Trump, his administration, or Congress succeed in eroding the ACA, many people could face higher premiums or risk losing access to affordable insurance. • Put into law certain requirements around prescription drug benefits. Cuomo's budget would also establish a commission of health policy experts, supported by the state Department of Health and state Department of Financial Services, to examine options for achieving universal health care access in New York. Among the things the commission would look at, according to the governor's budget briefing book: ways to strengthen the commercial insurance market, how to get people covered who can't afford health insurance or who are currently ineligible for assistance programs, and how to change reimbursement models so they are efficient enough to generate savings that offset the costs of expanded coverage. 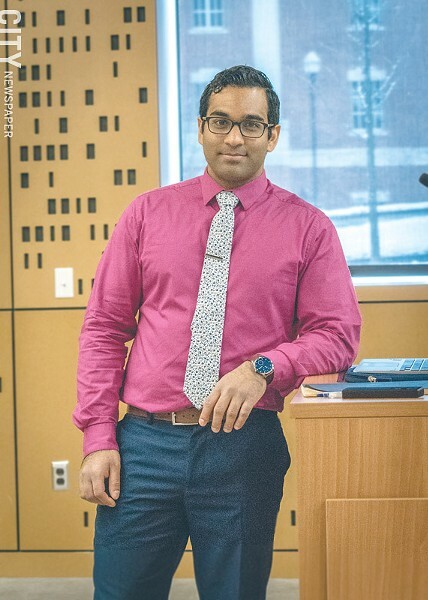 "Right now, we have a health system that rations care based on who has the ability to pay and leaves out a lot of vulnerable groups from getting health care that they need, and in the process is very wasteful," says Rohith Palli, a medical student at the University of Rochester who's active with Rochester for NY Health, the local affiliate of the statewide Campaign for New York Health. Rohith Palli of Rochester for NY Health says that a statewide single-payer health coverage program would save New Yorkers money and give them better access to necessary care. The NY Health Act would provide comprehensive health care coverage for all New Yorkers, which would be funded through a new tax levied against employer payrolls. Employers would have to cover at least 80 percent of the tax, but could choose to cover all of it if they wanted. Palli and other advocates say that individuals, employers, and New York's governments would all save money under the new system. The state would assume all Medicaid costs, which would lift a burden off of county governments (and the residents who pay property taxes), they say. It would also relieve employers of having to search for health plans for their workers. And though there would be a new payroll tax, insurance premiums and copays would be eliminated. The New York Health plan would also eliminate billing inefficiencies and overhead costs, Palli says. The plan provides funding to help people who work for health insurers either find jobs related to the new state health plan, or to get training for new careers. The single-payer approach would address problems related to costs of medical care as well as people's ability to access care, Palli says. "The New York Health Act would make it so we could all get the health care that we need, and we would pay for it in a progressive way," Palli says. Statewide single-payer health coverage isn't universally supported by New York Democrats. Cuomo has resisted the idea: during a debate last year with his primary opponent, Cynthia Nixon, he said he was concerned that a state-level single-payer program would cost too much to implement and should happen at the federal level. But Cuomo has also indicated that if the legislature passes the Health Act, he'd consider it. "We think that just means he's not facing enough political pressure to do the right thing," Palli says. "And so we plan to create political pressure." This article has been updated to clarify how Governor Andrew Cuomo's marijuana legalization proposal would treat vertical integration in cannabis businesses.